We know an India politician is eager to become prime minister when he starts fancying riots, blood and killings. It is up to social scientists to see why the road to India’s top seat is so soaked in blood! In 1984 Rajeev Gandhi walked on the Sikh corpses to climb the south of Raisina Hills. In 1990s LK Advani and AB Vajapayee rode ‘rath’ over people to bring their party to power and in 2002 Gujarat CM designed a riot and set his goal for future. Former Chief Minister of Uttar Pradesh Mulayam Singh is the latest example such politicians who are calculating their chances of becoming Prime Minister in 2014. Hence Muzaffarnagar riot! The Muzaffarnagar riot is a case wrapped in many complexities and layers. For the BJP it is a polarizing plot by which it intends to consolidate its lost share of votes among the most Hinduised voters. For the Congress it is an opportunity to cover anti-incumbency factor. But it is Samajwadi Party who wants to exploit it the most. Its head, Mulayam Singh, dreams to ride on it to 7 Race Course. Mulayam Singh’s calculation tells him, and rightly so, that in the absence of clear mandate post election, the coalition he intends to head will need support of one of the two big parties. In case the parties which are or were closer to the BJP such as Shiv Sena, AIADMK, TDP and JDU perform better, he will need the BJP to make them support his candidacy while it gives it outside support. This is why he wants to prove the BJP’s that its interests are secure under his rule. Mulayam’s calculation isn’t without base. BJP’s patriarch LK Advani in a blog entry a year back wrote, ‘a non-Congress, non-BJP Prime Minister heading a government supported by one of these two principal parties is, however, feasible. This has happened in the past also.’ Advani might have developed his wisdom due to ‘M’ factor but it had given Mulayam Singh a good reason to dream about the coveted seat. After all it will be Advani who will have to present his case in the RSS’s court! This was exactly why Mulayam praised Advani saying, ‘he never lies. He always speaks the truth.’ A month later he sympathized with his suffering during partition and said, ‘ …Advaniji is an honest person, he has suffered a lot during the country’s partition and has spent a life in hardship.’ Mulayam conveniently chose to forget that not all those who suffered during partition changed into hatemongers. To name few, former Prime Minister IK Gujral and even Dr Manmohan Singh had to suffer during partition. This warming of relation demanded more than just few words of praises. In past two years Mulayam have given many such sureties. Since the SP has come in power there is no dearth of such proves. According to media reports, more than 3 dozen riots have been recorded in UP in last 2 years. The above scenario is also true in its opposite. The cozying up of Mulayam and Advani is also a master stroke of the BJP’s old guard who too eyes the coveted chair. Advani has good reasons to believe that the NDA which is now almost nonexistent can be put together if BJP emerges as the biggest party and the partners refuse to join if Modi is forwarded by the party. In Advani’s name other party will can claim to do their bit to stop ascension of Modi. This will also give them opportunity to join BJP led government without looking anti minority! Chandrababu Naidu and Nitish Kumar have already drawn their lines and Mamta is sure to come on board. So we are here at Muzaffarnagar witnessing murders and arsenic while two of our politicians dream of being our Prime Minister. With America’s rhetoric for war on Syria becoming louder, one wonders if this is a sign of failing of American model of democracy. The polls conducting by various media houses in the US suggest that more than 60 per cent people don’t want war. They also show that people see President Barack Obama’s claim that Assad government has used chemical weapon against the Syrians a lie. Even then the war on Syria looks apparent. It is just a matter of time. The American apologists have always projected the American model of democracy as the most successful model ever practiced. 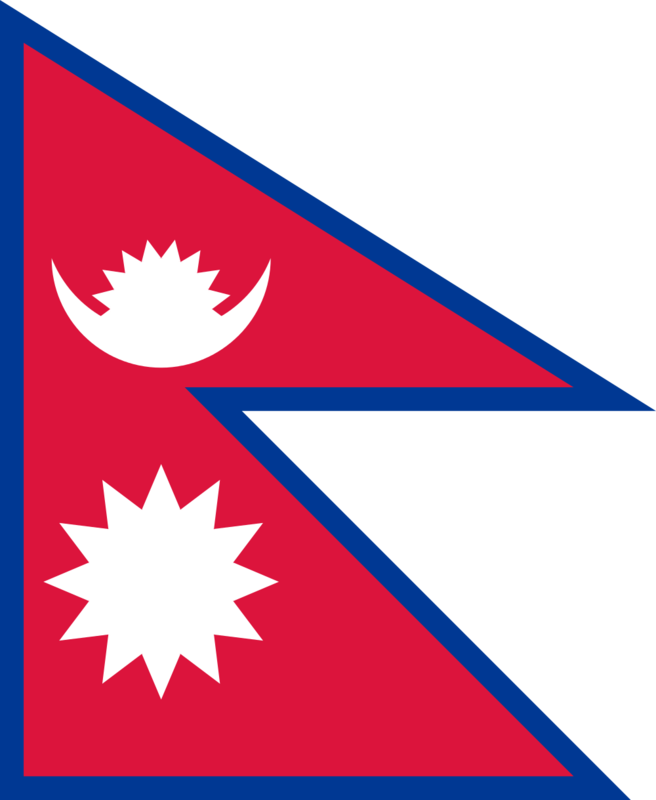 They have hailed the ‘two term only’ condition for its president as one of the best, if the not best, ways of keeping a check on presidents and not making despots of them. However the truth is that America’s system has produced more depots than all the previous communist or religious states put together have produced. Since 1950 America is directly or indirectly involved in every war occurred in the planet. During Soviet times it was believed that wars were needed to safeguard American interest or for that matter interest of the democratic world. After the collapse of the USSR and China adopting market economy it was believed that the age of war had ended. But the last two decades have witnessed more wars and more US presidents who seem eager to go to war. 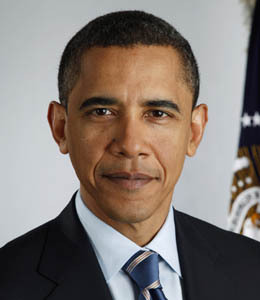 Starting from senior Bush and till Barak Obama no president seems serious to leave aside the policy of war as a US policy intervention in countries which it sees as a challenge to its hegemonic aspiration. This demands a close scrutiny of American model of democracy. If democracy, as we see it today, has to survive the US model must go. A system that gives its rulers immense power to do anything without being responsible for the will of the people cannot be argued as a democracy. The more it is run the way it is run it will certainly prove Lenin right that, it is a system where one ruler or set of rulers is replaced by another to exploit workers. The 22nd amendment to the US constitution, which set a term limit on the presidency, has allowed its presidents to work on their own. Before the amendment a candidate feared people who could show him doors and worked hard to be rewarded the next term. This way he was checked to do right things or the things people considered right. Since the amendment was passed by the Senate the presidents had acted more carelessly. Whatever good they did they did only during their first term. Richard Nixon, for example, took America out of Vietnam War. Likewise, President Ronald Reagan began his massive economic assault on people in his second term in the office. Pushing America in war on Iraq on the first term cost Sr Bush the second term. Jr. Bush led to Afghanistan, which out of some misinformation was approved by the Americans however his war in Iraq was never sanctioned by the people. Barack Obama is proving to be the most war loving president in America’s history. In the first term he talked about peace and in the second he looks more a bloodhound. Americans have to find out way where they do not a president to act on his own without respecting the people who has chosen him. They must demand for the election reforms. The Senate must be above president and vice versa. An Indian minister, regardless of his portfolio, is a sum of many yesteryear’s princes. Often the total is equal to a maharajah. I saw this formulation in an exhibition organized by the National Literacy Mission Authority at Delhi Haat in INA. 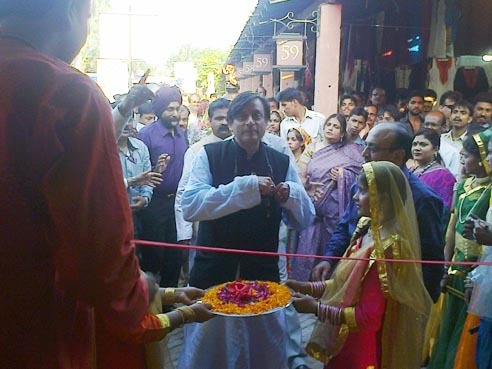 There the Minister of State for Human Resource Development Shashi Tharoor was accorded a welcome any former maharajah would envy. 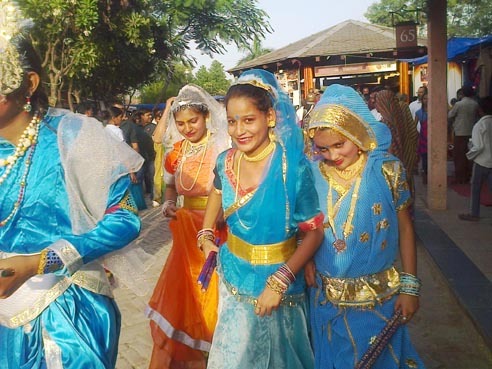 As he entered the Haat Lawn, neatly and colorfully dressed girls started to dance around him. They sang some Rajasthani folk song and a man with a wooden horse wrapped around his waist, started to swing his animal up and down. They reminded me of IPL team Sahara’s desi cheerleaders. Shashi, with a half snobbish half arrogant smile, walked between two human lines. People showered flowers’ petals on him. To inaugurate the exhibition he cut a ribbon and lit a lamp. Then he went to the main hall. There too he cut a ribbon and lit a lamp. All the while he was preceded by folk cheerleaders. Inside the hall there were people of different shades and hues. A lady, who was compering the programme was requesting people to pay obeisance to the minster by giving him a standing ovation. The crowed stood up immediately. A man was screaming, apologizing and smiling in a manner similar to a father of an Indian daughter during her marriage. He was asking people to vacate the seats for the minister’s entourage and was apologizing to people, who he guessed were sahibs and deserved seats, by bending his back in right angle. I guess he, somehow, had an illusion that Shashi, watching the successful event, would promote him. A French couple asked if I knew what was happening. I told them that an oriental maharaja had come. They got exited. One of them even took out his camera and wondered if he could take some snaps. I nodded in yes. The lady asked me about the state of the maharajah. I rightly said, Republic of India. Shashi, In fact, was looking like a maharajah. Confident, smiling and very funny in his ‘centrally’ parted mushroom cut hair style. He kept on running his fingers through them. To mark or taunt his arrival a man sang a famous Hindi song, ek din bik jayega maati ke mol jug me reh jayenge pyare tere bol. 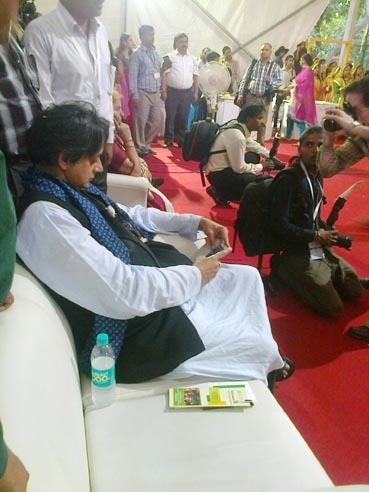 Indifferent to the song, Shashi kept on playing with his mobile. I checked my twitter account to see if he was twitting anything about the cattle class among whom his job had forced him today. He was not. After inspecting stalls and tasting delicacies as much as his stomach could accommodate, he sat on a big sofa which could have easily accommodate at least three people to lessen the burden on the daughter’s father. When he was done with playing with mobile, Shashi was asked to speak. He spoke in Hindi and laughed at himself or Hindi I could not figure out. But laugh he did. After a few words on empowerment and women, empowering women through literacy, transforming society etc., he hopped down from the dais and left. Before the compere could thank him and ask the crowd to stay put the whole hall started chasing Shashi. All wanted a snap or two with the maharajah. The horse rider too tried to make his way in but his horse didn’t allow. When he tried to force in his horse was kicked and out. Without wasting a minute, the cheerleaders started revolving and rotating around Shashi. He moved like the Sun without taking any cognisance of the effort. I didn’t follow him to the end to tell how he entered, sat and leaned back in his car and what he messaged to his friends about the event but the satisfaction on the face of the daughter’s father was enough to suggest it all went well.